Migrant labourers from Odisha are often prevented from exercising their voting rights because it's too expensive to travel back to their native constituencies. 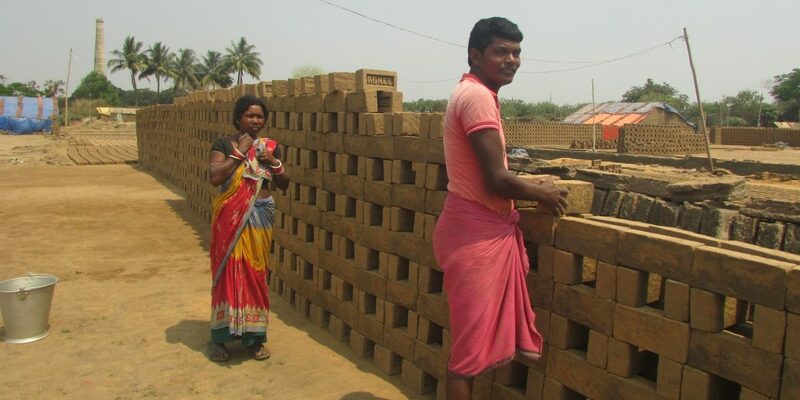 Balianta, Bhubaneswar: Last October when Agasti Bag (28) and Asima Bag (24) of Loisinga block in Balangir district – one of the most drought prone districts of Odisha – decided to migrate and work in a brick kiln at the outskirts of Bhubaneswar, had never thought they would be deprived of their voting rights. Both couples seasonally migrated and return at the end of the summer season. They are bound to stay till end of June, but exercising their right to vote will cost them financially – a difficult proposition for them. “We are interested to go to our village to cast [our] vote. But we cannot visit because will cost Rs 4,000 for the whole family to go and return from the village,” said Agasti while listening to news updates on a small radio and making bricks at the worksite. He also elaborates on the promises of political parties for the upcoming general election and what his demands are. Like them, Gandharba Haripal (32) and Bishakha Haripal (29) from Sandhibahal in Odisha’s drought-prone Bargarh district are also interested in visiting their village during the polling season. Both of them, along with their two children, have come to work in a brick kiln in Balianta to repay a loan of Rs 35,000 they had taken to re-build their house. “It is our right to cast [our] vote, so, during that time even if it costs Rs 1,000 per person to travel we will go and cast vote,” said Gandharba. Migrant couple Agasti and Asima at a brick kiln. Though he is reluctant to reveal his favourite party or whom he will vote for, he said, whoever will commit to work will win his vote. But his wife, Bishakha, feels government should make special arrangements for them to go and cast their vote in the village. Bearing such financial burden is not feasible for them. Not only Agasti and Gandharba, lakhs of migrants from drought-prone districts of western Odisha – Balangir, Kalahandi, Nuapada and Bargarh – will be deprived of exercising their voting rights as they are on the move during the election period. 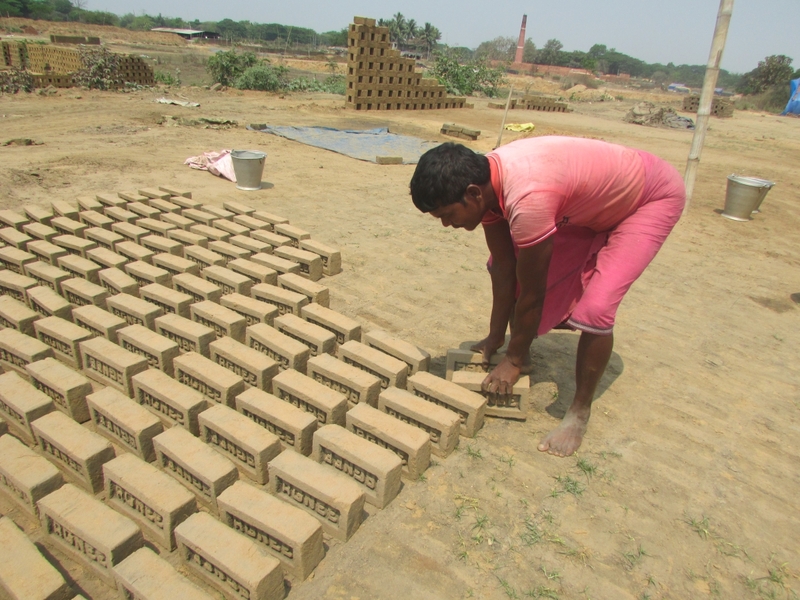 “These migrants, who mainly work as labourers in brick kiln worksites in southern states and in the outskirts of Bhubaneswar, will not be able to return during election time as their seasonal migration time ends after June,” said Saroj ku Barik, Programme manager, Aide et Action – a civil society organisation working on migration issues in western Odisha. 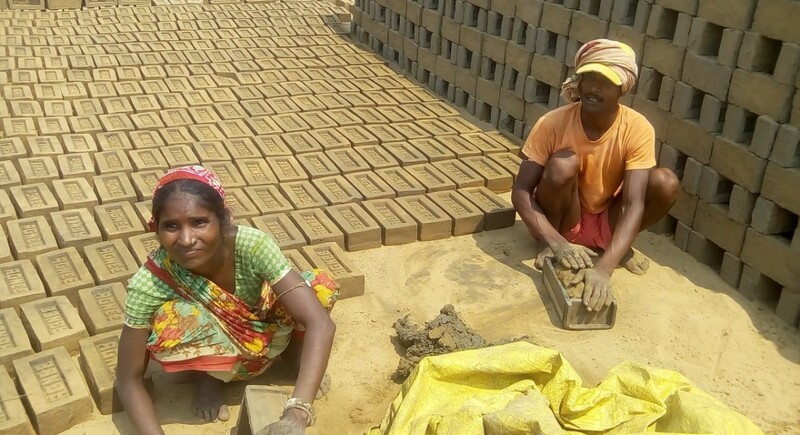 As per an informal annual assessment by Aide et Action, nearly 2,50,000 to 3 lakh people from western Odisha migrate to southern states to work in brick kilns. “Due to the agrarian crisis, drought and poverty each year, the number is increasing and these migrants cannot return during elections as it will put them in financial duress. The owners do not allow them as they work in brick kilns to repay loans which they had taken from money lenders to meet their financial needs,” said Saroj. There is no accurate database on labour migration in Odisha. However, the database shared by the State Labour Department in the assembly reveals that more than 1 lakh people are migrating every year through registration under the Inter-State Migrant Workmen Act, 1979. In western Odisha, only a few middlemen register at the District labour office, thereby giving merely a list of heads of family. As western Odisha is prone to family migration, actual migration remains three or four times higher than the registered numbers. Therefore, the informal estimation of the civil society organisation on brick kiln labour migration in western and southern districts is between 2.5 and 3 lakhs. During the 2014 election, Odisha high court had ordered the state election commission to create an enabling atmosphere so that these migrants can exercise their voting rights. “During that time, no step was taken and till now no instruction has been given to the concerned district collectors in this regard”, said Saroj. As per the 2011 census, approximately 40 crore people migrate in India for a variety of reasons – marriage, jobs, education, moving permanently, etc. However, seasonal migrants are the most vulnerable as they are excluded from accessing basic services and entitlements, including missing out their voting rights. “Seasonal migrants in India are estimated to be around 10 crore, but most of them are excluded from exercising their voting rights. The Union government is planning to provide proxy voting rights to NRIs – whose number is only 1.2 crore,” said Umi Daniel, Director, Migration and Education Aide et Action. .
Rajanikant Das, manager of Tiger bricks in Balianta block, said, that they arrange vehicles for all the migrant workers working in their brick kilns to cast their vote in their villages. “We get phone calls from political representatives to send the migrant workers to cast their votes. During the last panchayat election also we arranged for their travel to cast thier votes”, said the manager. But, most brick kiln owners do not send migrant workers to their villages to exercise their franchise. Those who migrate to other states find it more difficult to take part in the electoral process as some of them continue to work in semi-bonded situations. Daya Sagar Pradhan, an activist, working with distress-migration issues in Balangir district says, for generations these migrants have been deprived of exercising their voting rights. In the last 20 years, four panchayat elections and four state and general elections have occurred, but no migrant exercised his voting right. Migrants from Telengana and Andhra Pradesh want to be part of this year’s electoral process with the hope that the winning government will listen to their issues. Migrant worker Gandharba Haripal at a brick kiln. Pradhan also said, even if in Balangir district, the voting percentage during elections is around 70-80%, in the six most migration prone blocks – Belpada, Patnagarh, Bongamunda, Titlagarh, Tureikela and Khaprakhol – the percentage of voting will remain between 10-20%. Political analysts say, every vote counts. If this vast number of migrants exercise their voting rights, it will definitively have an impact on changing the political scenario – especially for them. Besides, due to the lack of employment opportunities in their source villages, they migrate to other states. However, they should not be deprived of their electoral franchise. The government should provide financial support to these groups to come and cast their votes. Surendra Haripal of Sandhibahal in Bargarh district, however, has a different opinion. “Seasonal migrants are unable to cast their votes for different reasons and stay outside the village during polls. 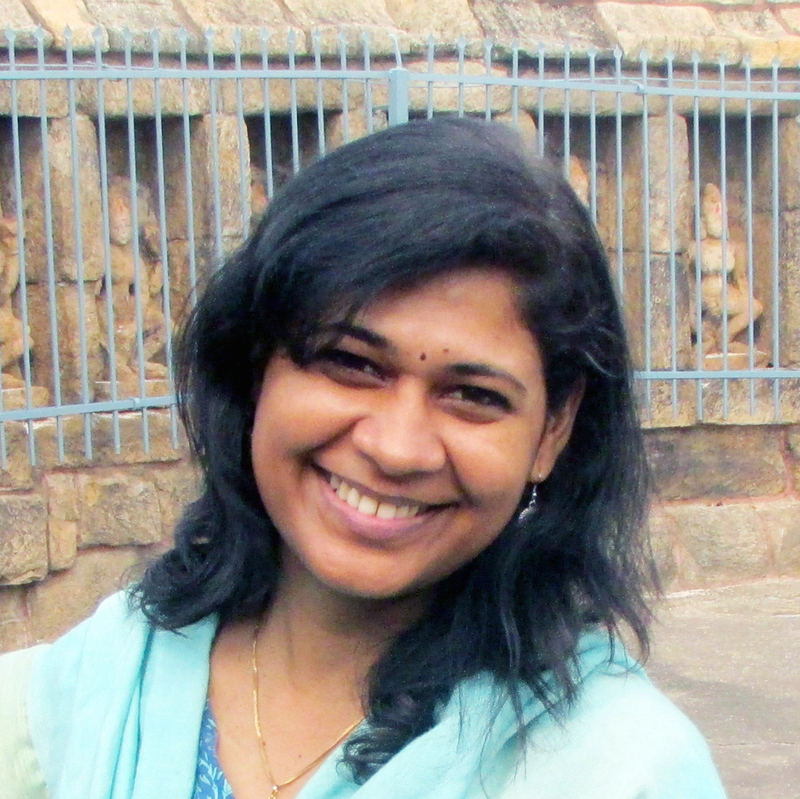 Political representatives also give less attention to their issues and problems,” concludes Saroj. All photos by Rakhi Ghosh.